Home » About » News » What Makes a Great Partnership? Infintech strives to make every partnership great. Whether it is a chamber, association, software, bank, or network referral – every partnership is different, and we offer a customized program for each. For more than a decade, Infintech has been working together with partners to find ways to help build their membership base and grow their business. Myron Rivers, Infintech’s VP of Channel Development, says that most of Infintech’s relationships have many of the same key components and these elements are essential to success. Communicating with your members on a regular basis about our partnership is key to building a successful program. Members who continually see Infintech’s logo and name form brand recognition and start to build trust with our company. Once this trust is built with your members, they are more willing to consider working with Infintech. There are many ways that you can promote our partnership via email campaigns, new member orientations and packets, or on your website. Not only do we need you to share information with your members, but we also need you to communicate with us. Tell us what’s working and what’s not working. Talk with your dedicated Infintech payment processing advisor regularly and share new member lists so both parties can strive to make the relationship more effective for your members. Infintech promises to have good communication with you as well. We provide weekly educational content that can be used across different marketing mediums to educate your members and promote our partnership. We also provide promotional content about the partnership that you can use in directory, email, web, social, banner, and print marketing mediums. Infintech is always willing to help make your lives as easy as possible. We also send monthly or quarterly reports so you can consistently review the health of the relationship. As partners, we both want the same thing – to grow our individual business. We believe that sharing one common goal can get us there. Infintech wants to help your members achieve smarter payment processing and we also want to see increased revenue for our business as well as yours. Many times, you are looking for a partner who can offer a much-needed service to your members and we are able to offer your members convenient, secure payment options at a lower cost while providing the best customer service in the industry. It’s a win-win situation. At Infintech, we strive to have the upmost integrity and to be transparent with our partners, current clients, and prospects. Honesty and trust are vital to any type of relationship and it is a necessity from a business perspective as well. 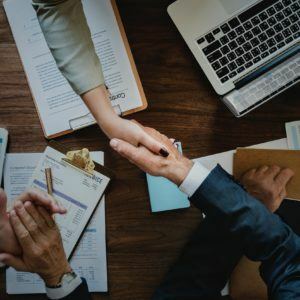 A healthy business relationship should reflect a team of business people who feel comfortable speaking truthfully about the ebb and flow of their shared partnership. Both parties need to be truthful, keep their promises, and share their knowledge and expertise with one another. This will help foster a healthy working relationship and make a stronger business venture for all parties involved. Learn More About How We Make Partnerships Successful!